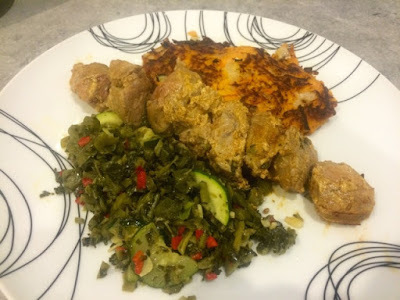 Caribbean Food Week is still going strong and whilst the weather outside may be far from Caribbean don’t let that stop you from cooking up some of my tasty Caribbean inspired dishes! Put your sunglasses on and just pretend it’s not raining outside…. For my second dish this week I used the Dunn’s River Jerk Seasoning and tin of callaloo from the hamper sent to me by the lovely people at Grace Foods. For those of you that have never heard of callaloo before (I hadn’t before my hamper arrived) it’s a kind of green vegetable common in the Carribean, it’s pretty similar to spinach. Callaloo is pretty easy to find in the world foods aisle of most supermarkets but if you’re struggling use spinach instead. I do find the tinned callaloo a little over salty so I’d suggest you give it a rinse before using. 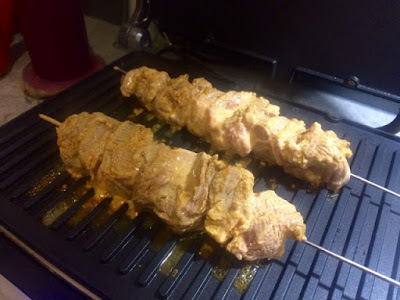 I’ve chosen lamb for these kebabs as I think it goes really nicely with the jerk seasoning but there’s absolutely no reason why you couldn’t swap this for any other meat if you prefer. Pork pairs quite well with it too. Unless you’re a glutton for punishment, I’ll warn you now, be sparing with this jerk seasoning! It’s HOT! I initially used it on its own, but the meal ended up being a bit disastrous as it was so hot I struggled to eat it. I had a little rethink and re-did this dish mixing the seasoning with yoghurt to cool it down. If you like things spicy though, by all means use less yoghurt. 1. 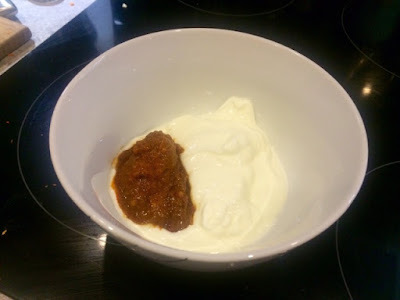 In a bowl mix together the yoghurt and jerk seasoning. 2. 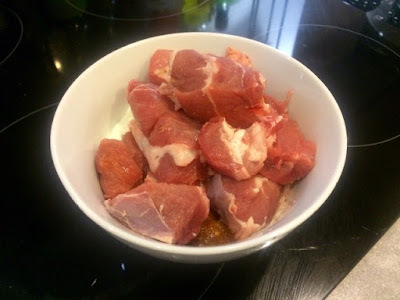 Add your lamb to the bowl and mix thoroughly ensuring all pieces are coated. If you wish you can leave this to marinate for a few hours but its just as good cooked straight away. 3. 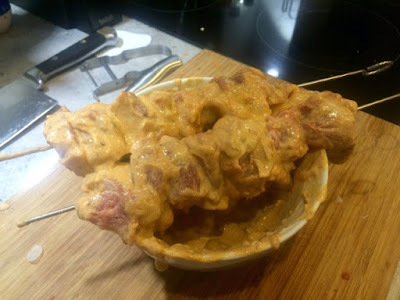 Push your chunks of lamb onto two skewers. 4. Cook on a hot grill or griddle pan, or under the grill in the oven. Turning regularly for about 20 minutes or until cooked through. 5. 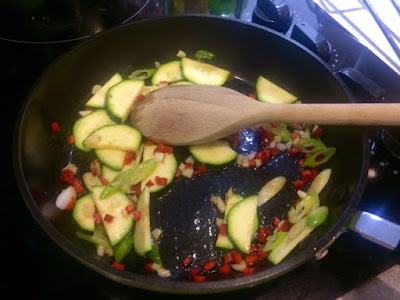 Meanwhile sauté the courgette, chilli and garlic in a pan on a medium heat. 6. 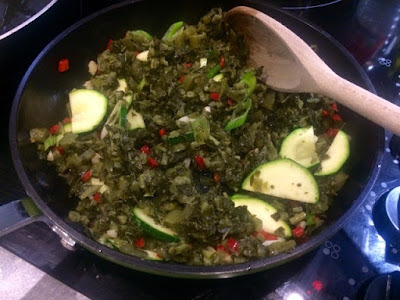 When the courgettes are softened add the callaloo and mix through. Keep on a low-medium heat, stirring occasionally to heat the greens through. 7. 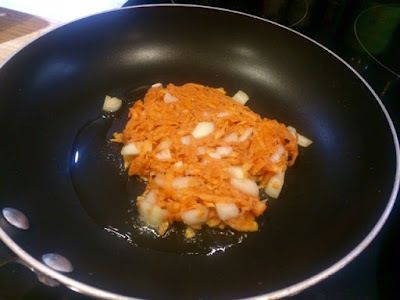 In a bowl mix together all the ingredients for the sweet potato hash. Split the mixture evenly into two. 8. Heat 1-2 tbsps oil in a pan. 9. 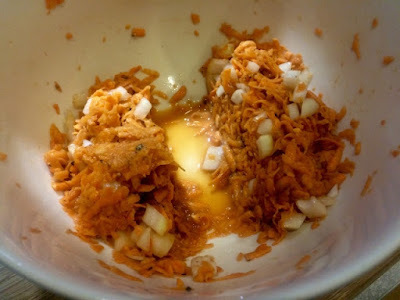 Take half of the potato mixture, squeeze it into a ball (try to squeeze out some of the excess liquid). 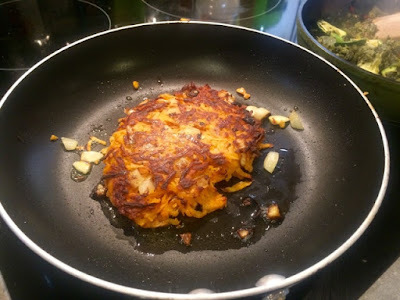 Place it into the hot pan and flatten down with a spatular until it’s about 1.5cm thick. Fry for 2-3 minutes on each side until golden. 10. 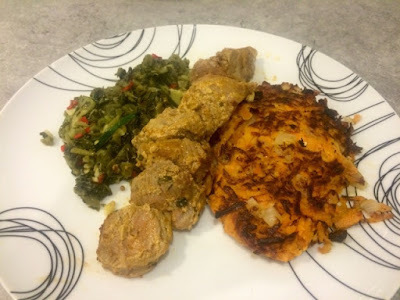 When the kebabs are cooked, remove from the skewers and serve alongside the chilli greens and sweet potato hash.